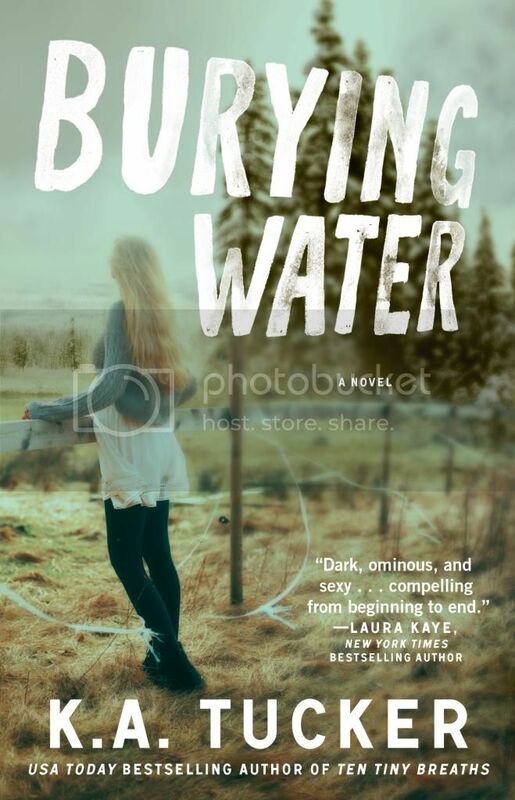 Welcome to The Cover Contessa's stop on the Burying Water blog tour! I close my eyes as a tear slips out from the corner of one eye, the salt from it burning my sensitive skin. Why did this happen to me? Who could have done such a thing? Raped . . . STDs . . . “What about . . . I mean, could I be pregnant?” The question slips out unbidden. The air sails from my lungs as she delivers yet another harsh punch of news. My gaze drifts to my flat abdomen. I have a baby in there? “Do you not recall any of this?” Dr. Alwood’s brows draw together as she watches me closely. A soft “no” slips out and I can’t help but feel that she doesn’t believe me. A strange cold sweeps through my limbs as I take in the ruined body lying on this bed before me. I’ve been lucid for all of five minutes—the long hand on the clock ahead tells me that—and in that short time, this doctor has informed me that I was beaten, raped, . . . and left for dead. And I lost a baby I don’t ever remember carrying, or making. I don’t know who the father was. Her barrage of questions only makes my heart rate spike and the annoying EKG ramp up again. I can’t answer a single one of them. Is anyone missing me right now? Are they searching for me? Am I from Bend, Oregon or do I live somewhere else? Dr. Alwood sits quietly, waiting, as I focus on a small yellow splotch on the ceiling. That’s water damage. How can I recognize that and not my own name? “Even a tiny detail?” she presses, the urgency in her voice soft and pleading. This story sounds really good, I've added it to my to read list!